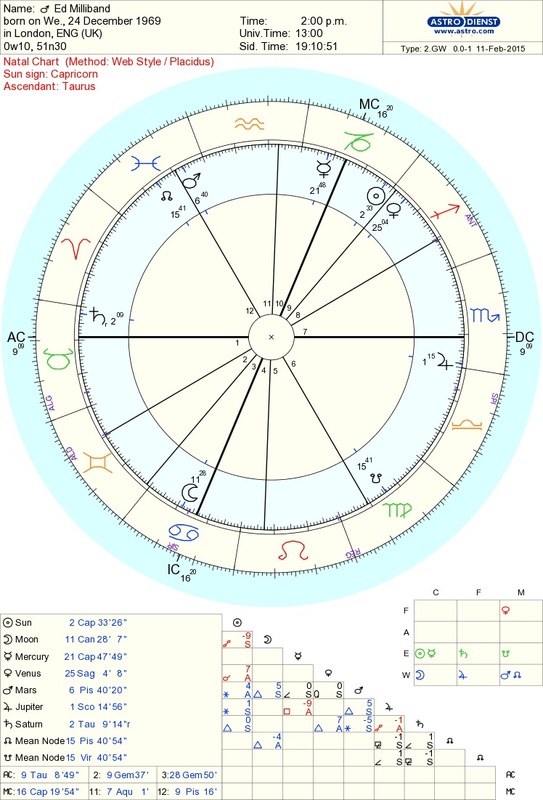 Sorry but I find this chart in particular incomplete without the outer planets. Chiron in 2 degrees Aries is exactly square to his Sun. And the other outer planets are particularly relevant in this chart. I was planning to start a thread on the mundane forum this week looking at the UK General on May 7th. That will include analysis of Ed Miliband and David Cameron's charts. I'm not really clear what is especially traditional about this topic. I think the mundane forum would be the perfect place to develop this further - suits the political theme of the subject and keeps it open for anyone to contribute. Unless there is some specific feature of the chart that you want to consider from a traditional approach Matthew? If there is, you could always raise that particular point in this thread, so that responses are focussed on the use of traditional/historical natal techniques.